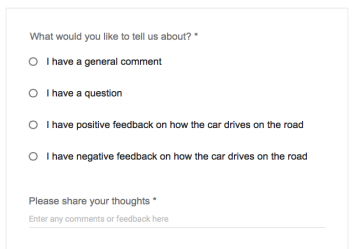 Google self-driving cars: Accident reports are part of a charm offensive. By now, Google’s self-driving cars are a familiar sight on Bay Area roadways. But are they a welcome sight? Google also on Friday published the first of what it says will be monthly progress reports on its self-driving car project. Most notably, the inaugural report includes summaries of all the accidents Google’s self-driving cars have been involved in since the project began in 2009. Actually, it includes all but one: The report, which details 12 fender-benders, was written just before a 13th accident that happened just Thursday. In that accident, as in many of the others, it seems clear Google’s car wasn’t at fault: It was rear-ended while stopped at a red light. In fact, Google maintains that its self-driving cars still have not caused an accident over the course of their 1.8 million miles of testing. As I explained in a recent Future Tense post, that clean driving record is at once impressive and inconclusive. So far, Google’s cars have mostly traversed territory that the company has intricately mapped in advance. And Google instructs its human drivers to take over whenever they sense danger. Google has already taken one important measure to ensure its cars are received positively: It made its self-driving prototypes as tiny and adorable as possible. How can you hate something that looks like a naive koala? Now it’s taking another step with a show of transparency and openness to feedback. It’s a way to make the whole endeavor seem less scary and secretive. And when the company talks about self-driving cars these days, as Brin did at a shareholder meeting Wednesday, it doesn’t talk much about luxury, convenience, or style. It talks about making our roadways safer. So far, the charm offensive seems to be working. A widely circulated blog post (or was it originally a Reddit post?) by an anonymous Mountain View resident recently praised the cars for driving “like your grandma”—by which the author meant, cautiously and politely to a fault. And Virginia this week became the fifth state (along with Washington, D.C.) to legalize tests of self-driving cars on public roads. Google’s Fully Driverless Cars Are Finally Ready for the Road. Well, Some Roads.